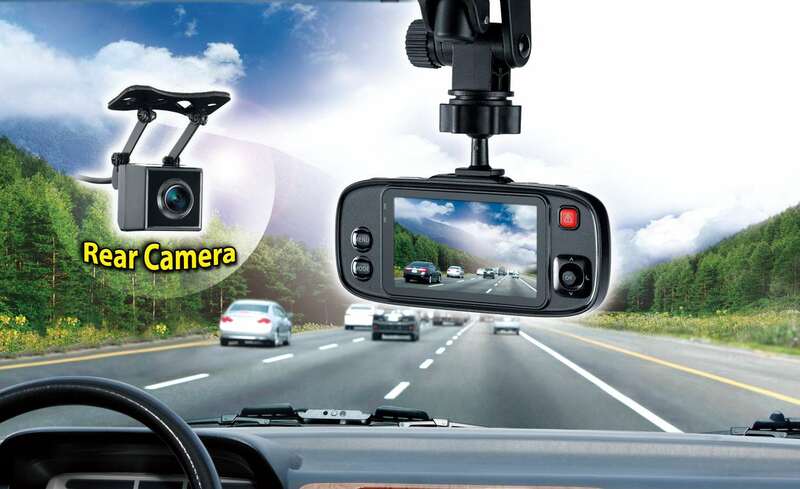 8 October, 2013, Chino, California – Genius today announces its DVR-HD500D Dual Lens Vehicle Recorder in North America. 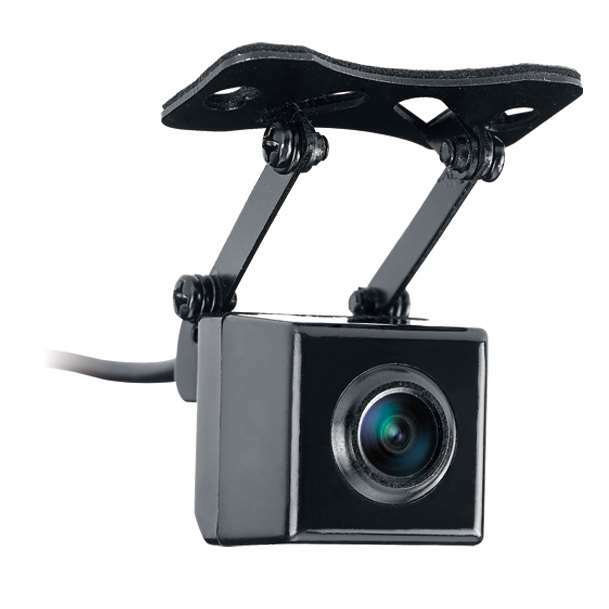 With two vehicle recorders connected by a cable, one on the front windshield recording in 720p and one on the rear windshield recording in 480p, DVR-HD500D can record road conditions both in front and behind the vehicle at the same time. 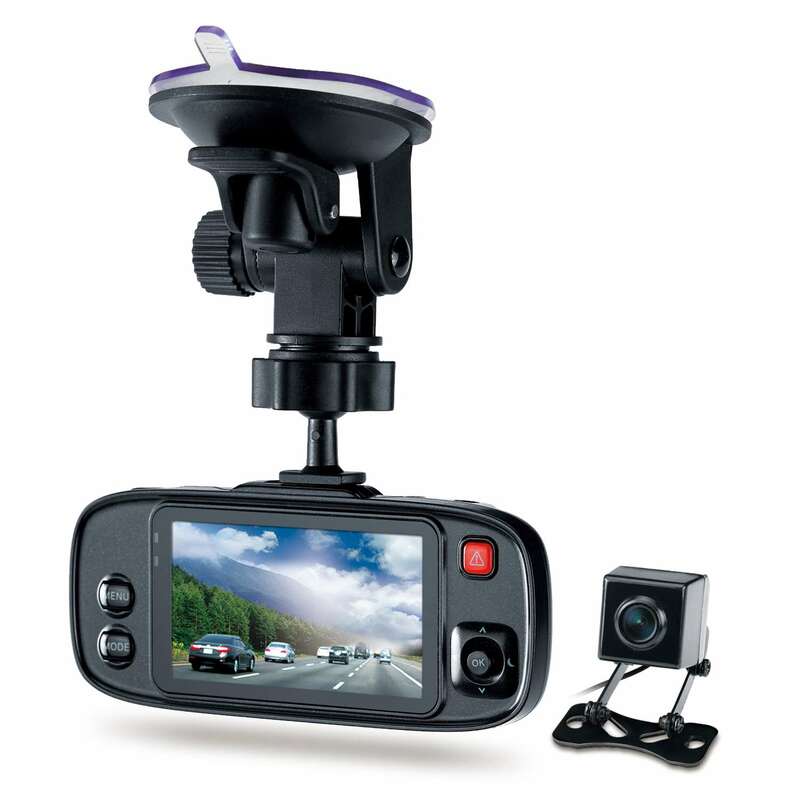 A 130 degree wide angle view and high-definition video capture ensures excellent video quality when you need it most. Standard vehicle recorders capture only what happens in front of the vehicle, and leaves users blind to mishaps that may happen behind the vehicle. 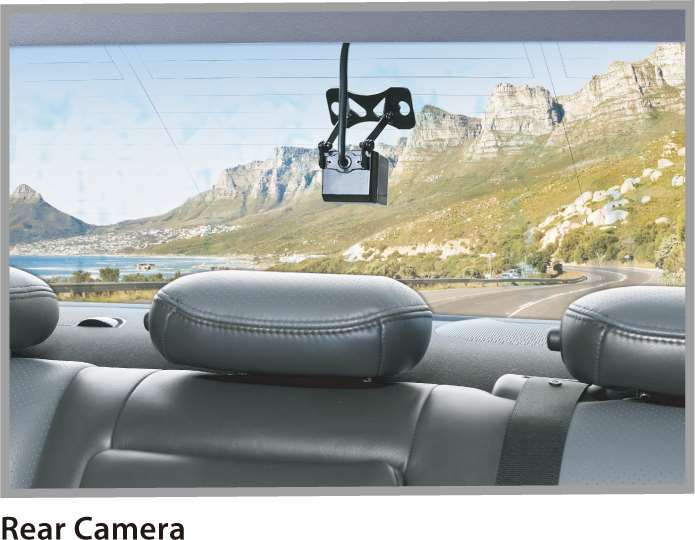 The DVR-HD500D is able to simultaneously record in front and behind your vehicle. Both recorders are attached to windshields using a suction unit (front) and adhesive tape (rear). The rear recorder is connected to the DVR via a 19 feet long cable. The recording commences automatically when the car engine is started, which means that no important evidence will be lost. 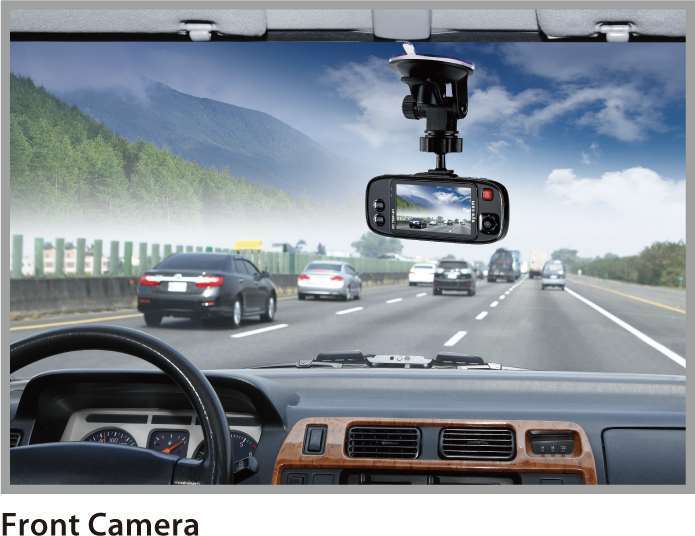 In case of an accident, the built-in three axis G-sensor can sense any crash events and protect the recorded files as evidence for any necessary insurance claims. 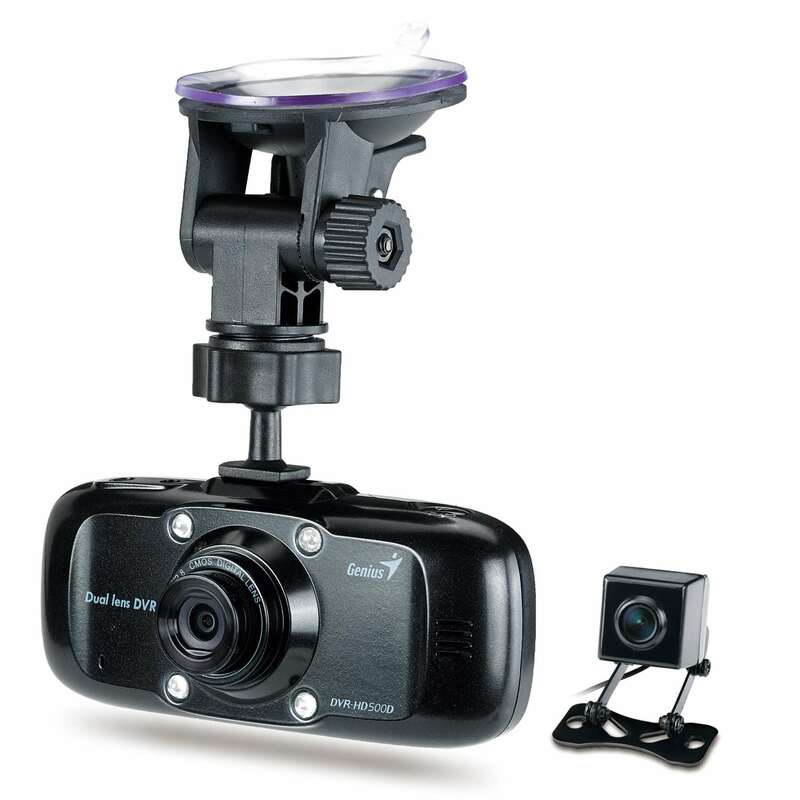 The DVR-HD500D records HD video in front with a wide-angle lens (130 degrees) for high quality video without distortion and has a built-in IR LED for use day and night. The wide-angle lens captures the entire situation instead of being limited to a small area in front of the vehicle. The IR LED at the front of the recorder assists in providing clear and detailed video recording in night conditions. The DVR-HD500D supports Micro SDHC cards up to 32GB in capacity, which allows for hours of footage to be recorded. As the video is recorded in MOV format with H.264 compression, it can be viewed on any computer or tablet that plays MP4 video. The video files can be copied into your computer for viewing or safekeeping directly from the Micro SDHC card or by using the included USB cable. The DVR-HD500D is now available in North America for the suggested retail price of US $169. Video recording format: MOV. 30 fps in H.264 compression.